The genesis of what is now called Karma Vineyards began in 2002 when Julie and Bret were visiting their timeshare in Manson. After a beautiful Thanksgiving at Lake Chelan, they thought it might be a place they could raise their children. With the strong belief system that hard work and sacrifice are imperative to forming strong character, they knew they wanted to farm with their children. The day after Thanksgiving, on Black Friday, Julie and Bret found a realtor, who toured them around the lake in search of orchards, as Bret grew up on an apple, cherry, and pear orchard. To their surprise, they were shown a vineyard on the south shore and fell in love with the land. Selling their home in Wenatchee and placing a doublewide trailer in the middle of this beautiful land turned into what you see now. After fourteen years of hard work, attention to detail, strong conviction, and integrity built the Karma product and sustains it today. 18 Brix restaurant is the namesake for the level of sugar in the grapes picked for our champagne. We generally pick at 18-19 BRIX! 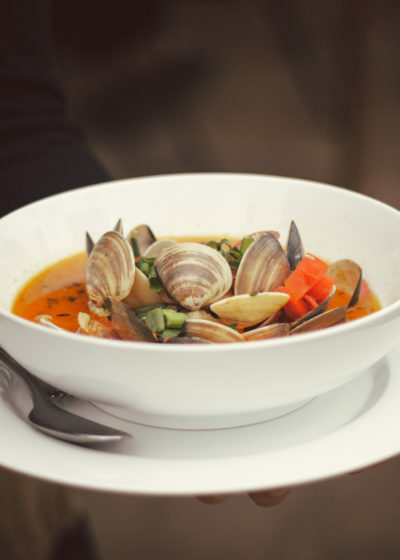 Seated inside or out, our restaurant is open year round. 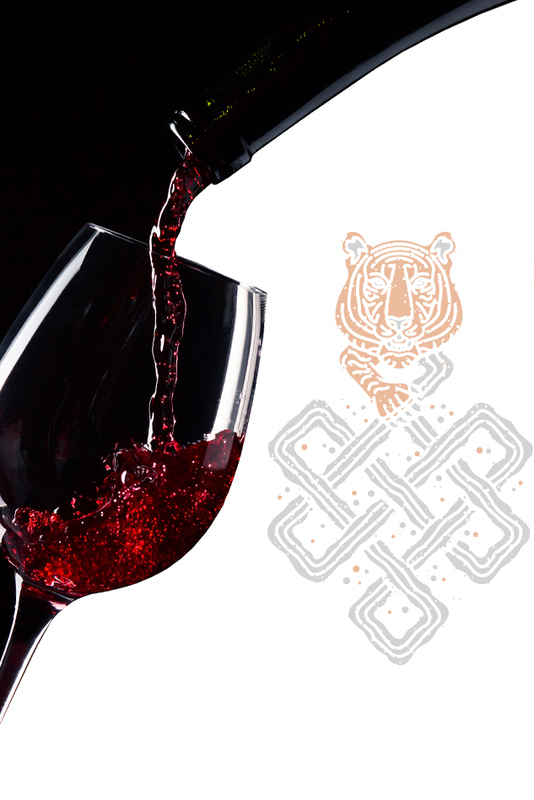 See for yourself why Karma Vineyards is loved by so many. 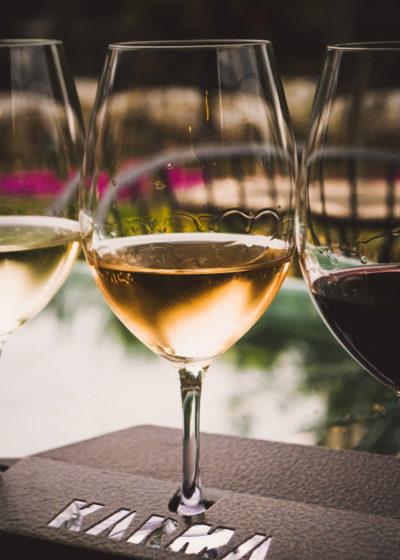 Join us for a wine and cider tasting, and maybe stay for lunch while you’re at it! Known as one of the most lovely, hospitable, and well organized venues in Washington state, we take great care and pride in sharing your wedding day experience. 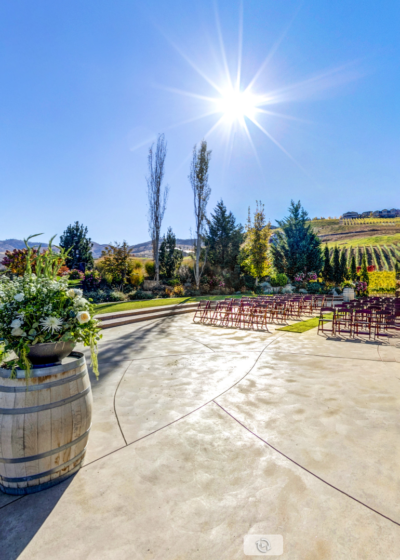 Use our incredible 360° Virtual Tour to explore Karma Vineyards before your visit!